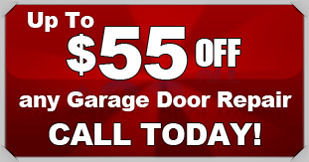 When you need garage door repair in Canyon Lake, turn to the experts with Action Garage Door. Since our company was founded in 1984, we have been committed toprovidingthe best in customer service.Our family-owned business is staffed with true professionals who are passionate about going above and beyond to meet all of our customers’ needs across the San Antonio region.As part of our dedication to ensuring your ultimate satisfaction and peace of mind, we thoroughly screen all of our skilled technicians. No matter what type of repair you need, we have the experience, tools and equipment to get the job done right the first time. We work hard to provide top-notch repair servicesthat fully comply with all local regulations, and our products are built to withstand all types of harsh weather conditions. Whether you need extensive repairs or simple maintenance for the garage door at your Canyon Lake home or business, we’ll take care of all your needs. If your door is off its tracks or has a loose garage door cable, problem spring or any other broken or malfunctioning parts, you can count on us to solve the issue quickly and effectively,with minimal disruption to your normal routine. In addition to providing first-rate garage door repair services to the Canyon Lake community, we offer expertise in new installation. Our products come from the best manufacturers in the industry, so you can rest assured that your new residential door or commercial door will stand the test of time. We’ll work closely with you to make sure the model complements your property perfectly, so you end up with a new garage door that looks great and will last for years. When you need garage door repair or installation services in Canyon Lake, look no further than Action Garage Door. No matter when or why you need our help, we’ll be there for you. Contact us online to schedule an appointment.